ON THE RIDGE! Welcome to 206 Gleneagles View in scenic Cochrane Alberta. 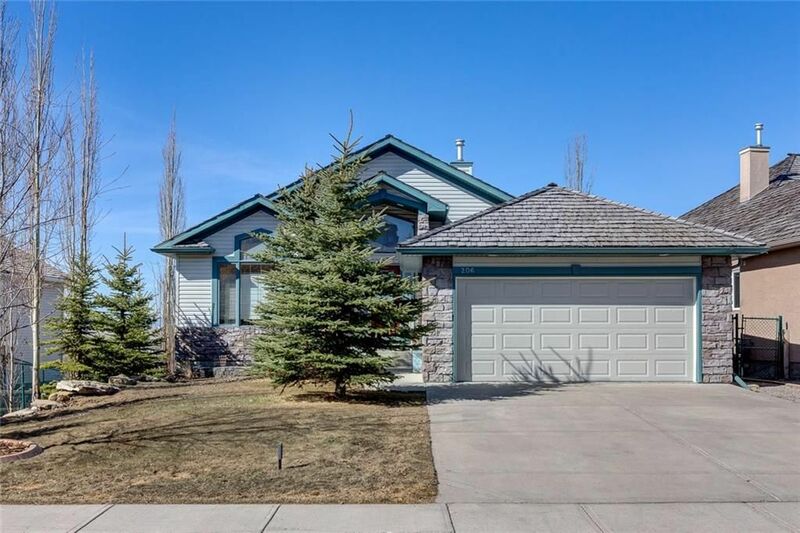 GORGEOUS, PANORAMIC VIEWS of the Rockies, Bow River & River Valley from this immaculate, upgraded 4 bedroom walkout bungalow. Step inside and be in awe of the beautiful views that this open concept offers. You are greeted by rich maple hardwood floors, upscale finishing, and a welcoming ambience that embraces you and invites you to stay... Feel at home in the gourmet kitchen, complete with a new range, high end SS appliances, upgraded cabinetry, granite counters and eat up bar, wine cooler, & walkthru pantry. Other features include: open great rm concept w/ lovely gas fireplace, elegant master bedrm w/ spacious ensuite that boasts a granite counter, soaker tub & separate shower, a showpiece staircase w/ hardwood & wrought iron/maple railings, large deck w/ extended glass wall/railing & BBQ gas outlet, central A/C, & convenient irrigation system. Fully finished down w/ infloor heat & 9' ceilings, this home is calling you - view today!